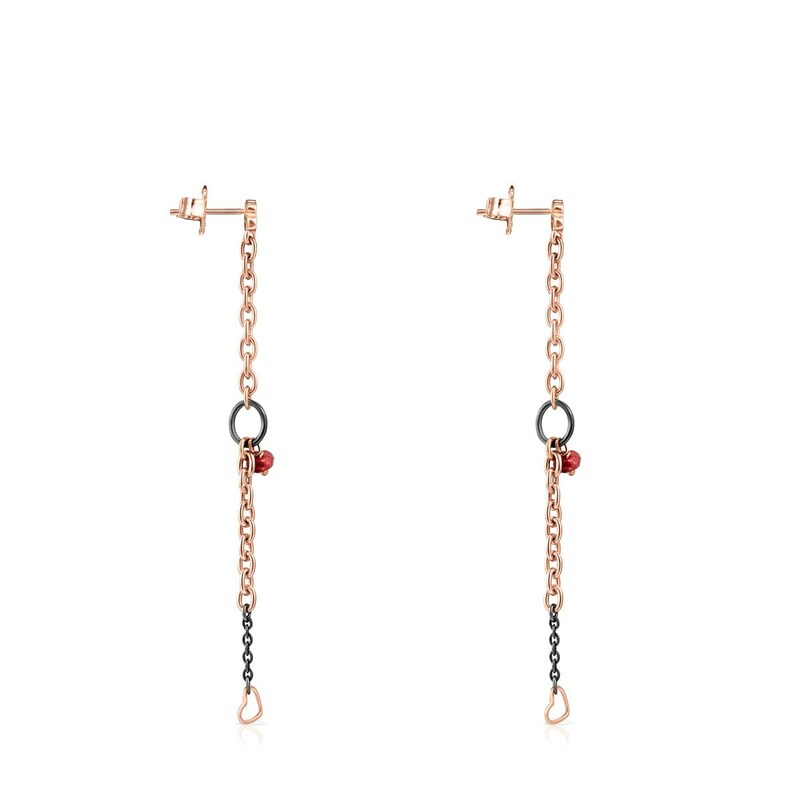 Long TOUS Motif earrings in dark silver and rose gold vermeil with spinels and rubies. Push back. 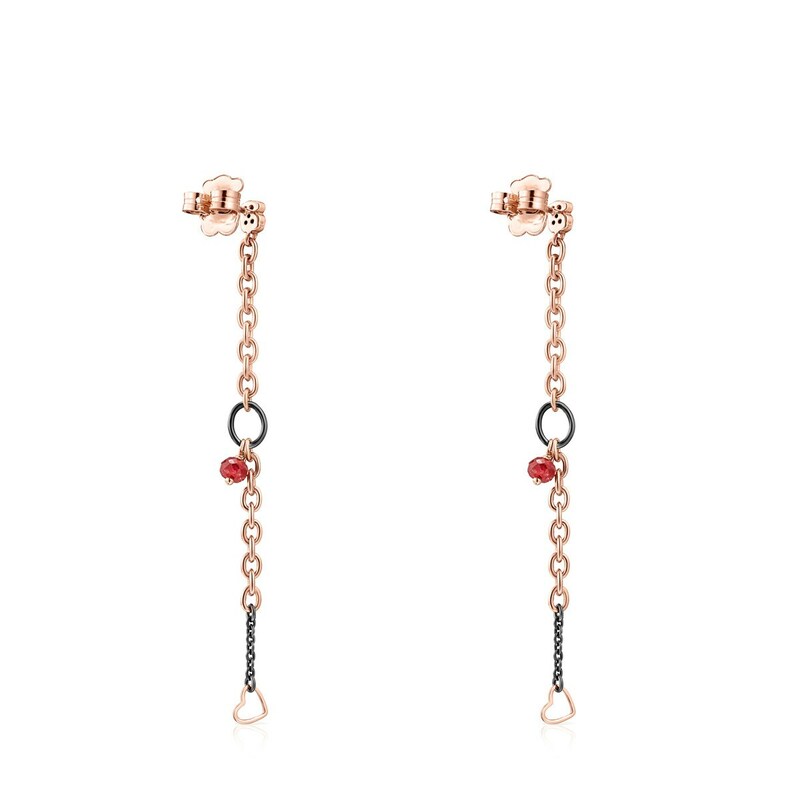 Length: 7.5 cm. (Dark Silver: Sterling silver plated with a layer of ruthenium, a mineral that provides strength and sparkle.) 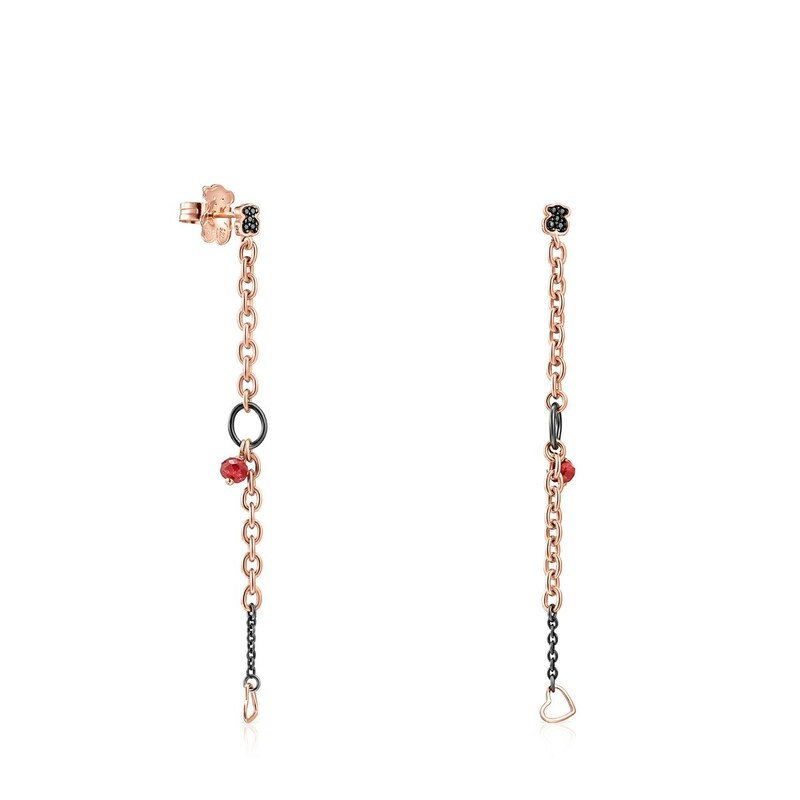 – (Vermeil: Sterling silver plated with a layer of 18kt rose gold).